I am bertieT2, hire me today! A 1978 VW T2 “late bay” Devon Moonraker, which has been lovingly restored to a impressively high standard. VW Campervan restorations don’t really come much better than this! 2014 VW T5 LWB 140 camper van. New full conversion in lovely condition. Non smoking and no dogs. 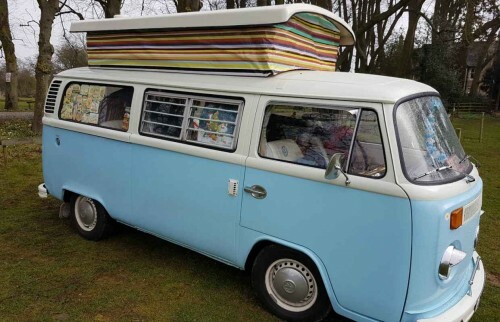 Jenny is a Volkswagen Danbury Rio camper with air-cooled engine.